Only 4 430i xDrive Coupe models left in stock! Heated Seats, Moonroof, Nav System, Satellite Radio, iPod/MP3 Input, Back-Up Camera. 430i xDrive trim. EPA 33 MPG Hwy/23 MPG City! READ MORE! Navigation, Sunroof, All Wheel Drive, Rear Air, Back-Up Camera, Turbocharged, Satellite Radio, iPod/MP3 Input, Onboard Communications System, Aluminum Wheels, Keyless Start, Dual Zone A/C. 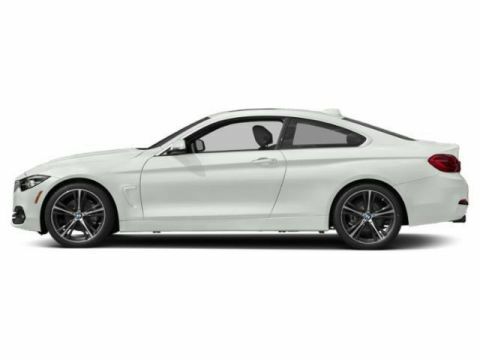 BMW 430i xDrive with Alpine White exterior and Black Dak Lthr w/ Oyster hglgt interior features a 4 Cylinder Engine with 248 HP at 5200 RPM*. CONVENIENCE PACKAGE Heated Front Seats, Active Blind Spot Detection, Lumbar Support, harman/kardon SURROUND SOUND SYSTEM, HEATED STEERING WHEEL. MP3 Player, Keyless Entry, Steering Wheel Controls, Electronic Stability Control, Heated Mirrors. Edmunds.com's review says The steering's accuracy and directness are ideal for a luxury coupe, and the thick M Sport steering wheel feels good in your hands..